When we last spoke with Shijia Li, in November, she told us about Protection Relay Testing. She has since been made team leader for Protection and Smart Grid team within OPAL-RT’s AXES (Application, eXpertise and Electrical Simulation) division. This time, she is speaking to OPAL-RT Product News about OPAL-RT’s HIL Traveling Wave Test System. 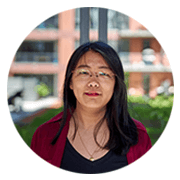 Shijia Li received her Bachelor’s degree from Zhejiang University, China in 2012 and Master’s degree from McGill University, Canada in 2015, both in the field of power engineering. She joined OPAL-RT in March 2015, where her work focuses on power system modelling and real-time simulation applications with protective relays and PMUs. Shijia is actively involved in developing technical solutions and providing advanced training to help users better utilize real-time simulation techniques for exploring the latest P&C/smart grid technologies. Currently, Shijia leads the Protection and Smart Grid team in OPAL-RT’s AXES (Application, eXpertise and Electrical Simulation division).